Getting the most from your Daisy Patches. Hello lovely ones! 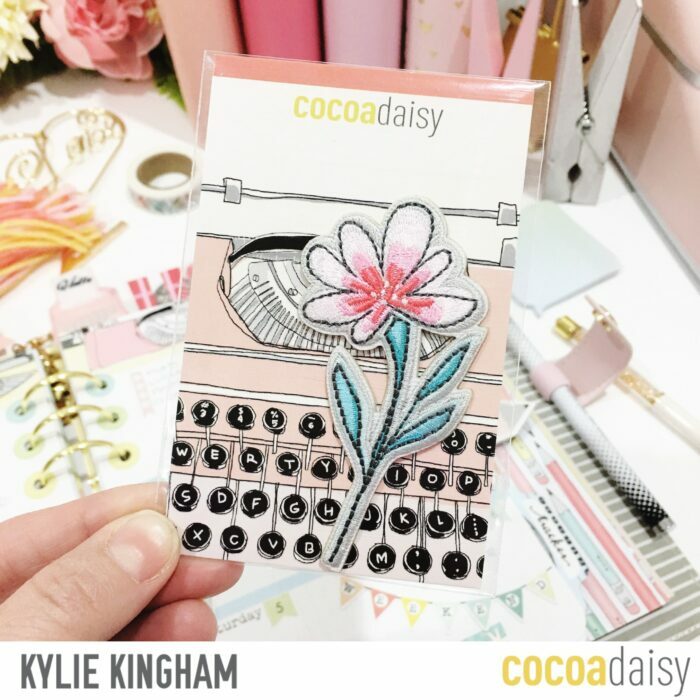 It’s Kylie with you today talking about those sweet Daisy Patches included with the May planning kits as well as the Memory Keeping kits. 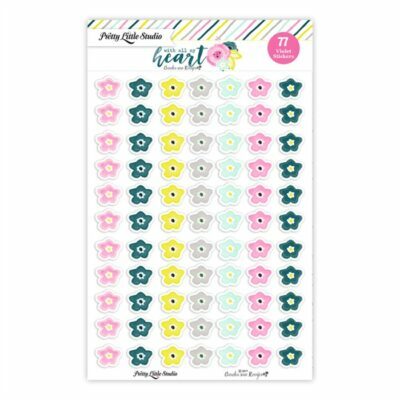 I was super excited when I first saw these and quickly started thinking about how to use them in my planning pages. Perhaps I should first be truthful and admit to you all I actually wanted to keep them in their pretty packaging and stare lovingly at them forever. 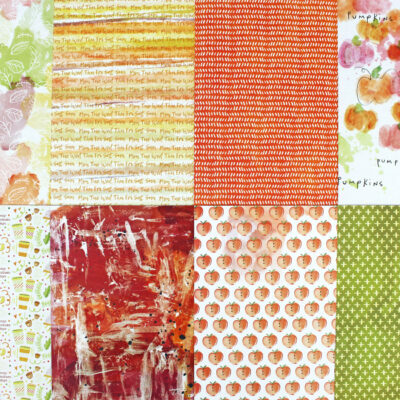 But there is no fun in that, so here are some of the ways I have been using my pretty patches. 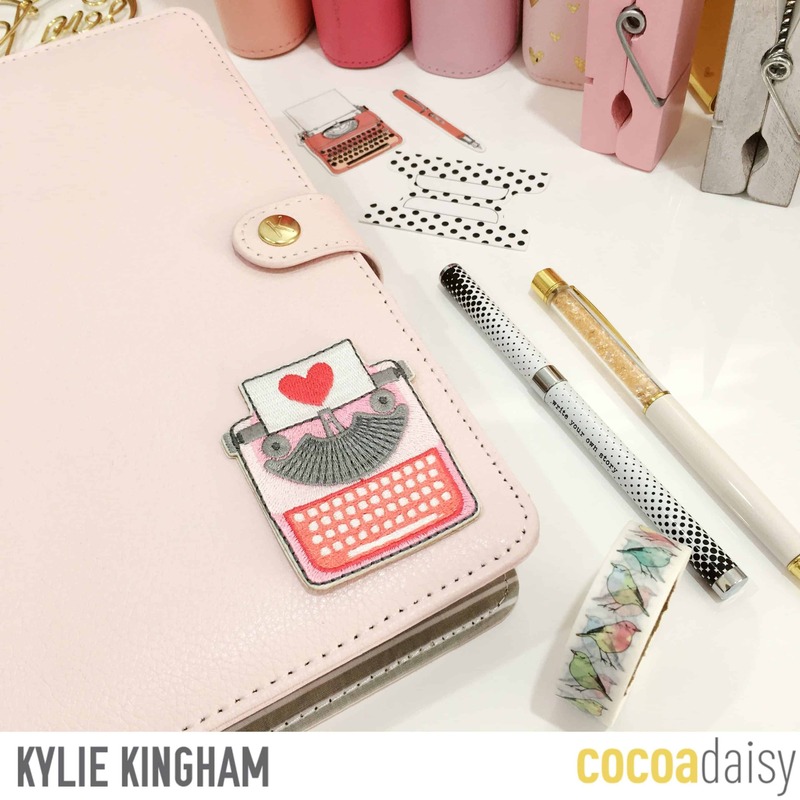 I added the typewriter to the front of my pink planner.If you didn’t want to add anything permanently to your planner you could just use washi tape! 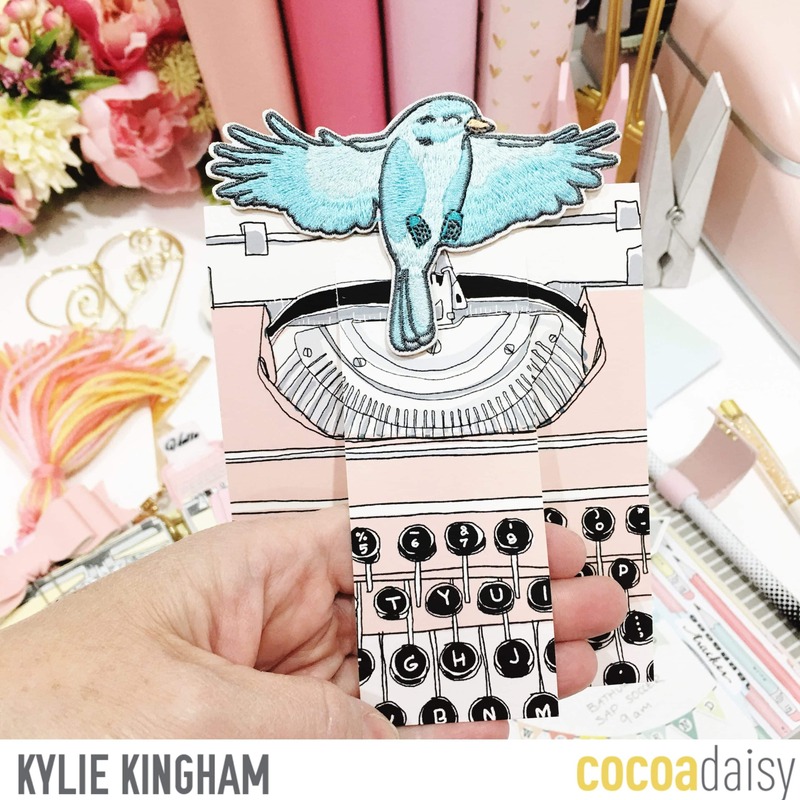 I added my little birdie patch to an acetate dashboard.This acetate was from the February planner kit but I thought it was still a perfect match for May as well.Love being able to reuse my favourites. 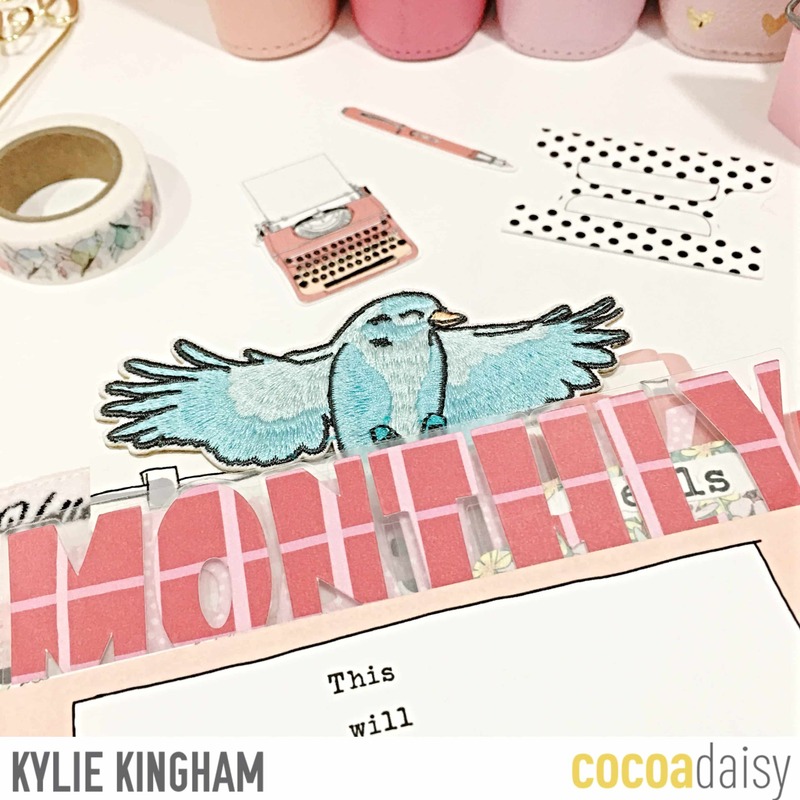 The beautiful large bird I added to a page mark I created, reusing one of the divine packaging cards. 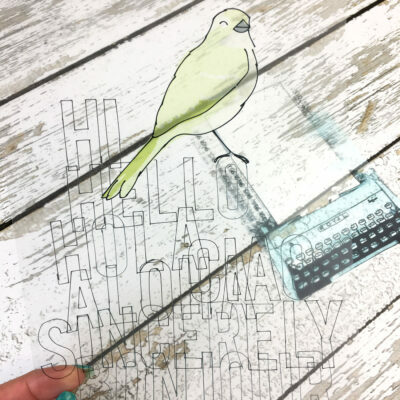 I simply cut two slits into the card which will enable you to slide it over a page in your planner. 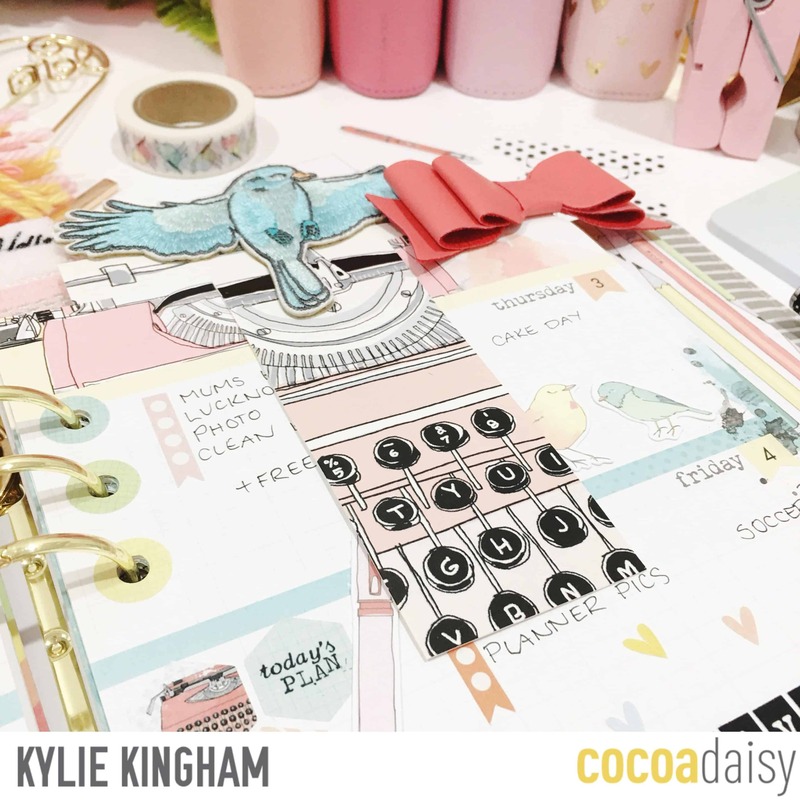 Once in my planner I loved how the bird sat to the top as a stand out. 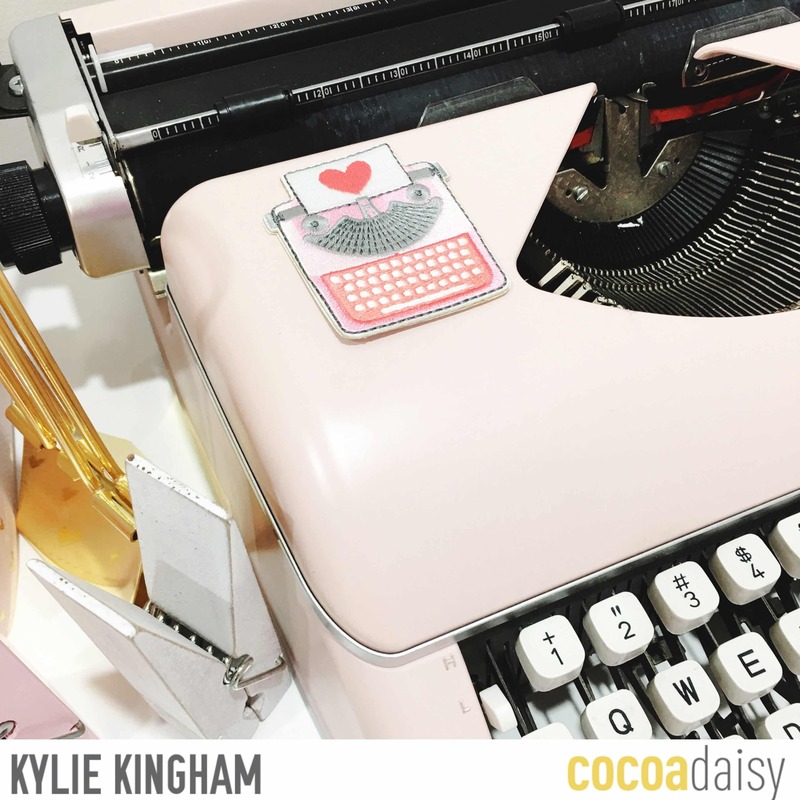 The typewriter was perfect on my typewriter! My flower was super cute on my fabric lamp shade. 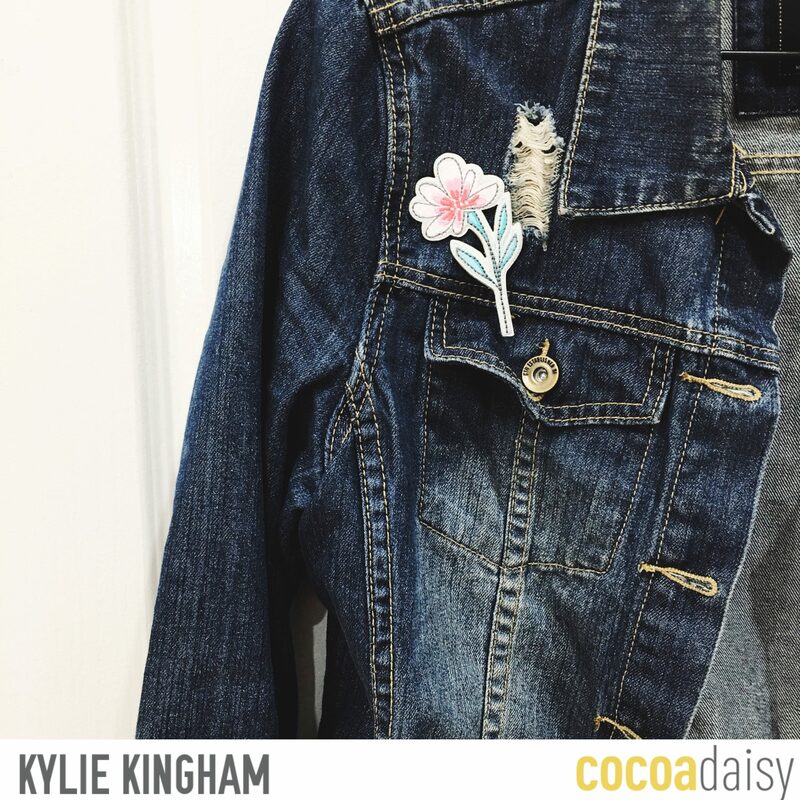 Or wearing it on my jacket means I carry a little Cocoa Daisy with me everywhere! 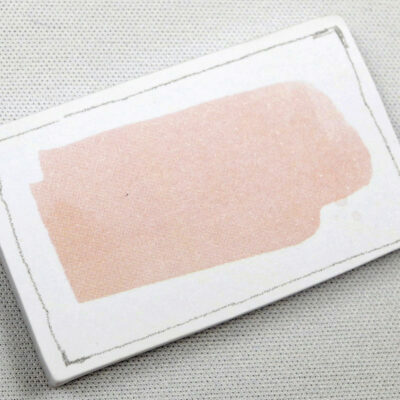 How have you been using your patches this month?? 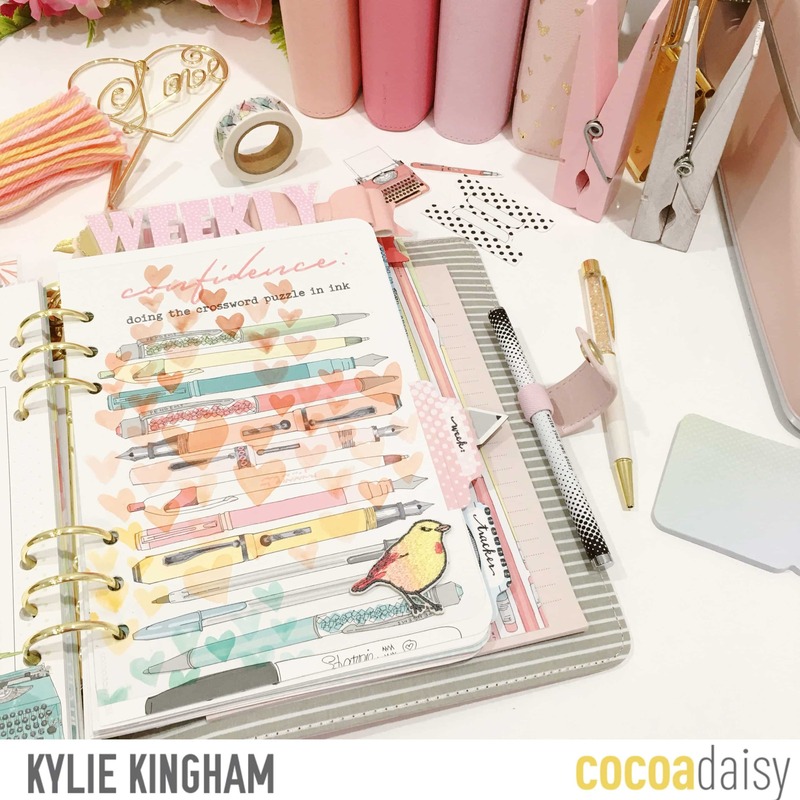 We’d love to see.Don’t forget to join the Cocoa Daisy Facebook Group HERE to share all your ideas and be inspired too. Thankyou so much.I’m so glad you enjoyed it. I love all of your ideas! 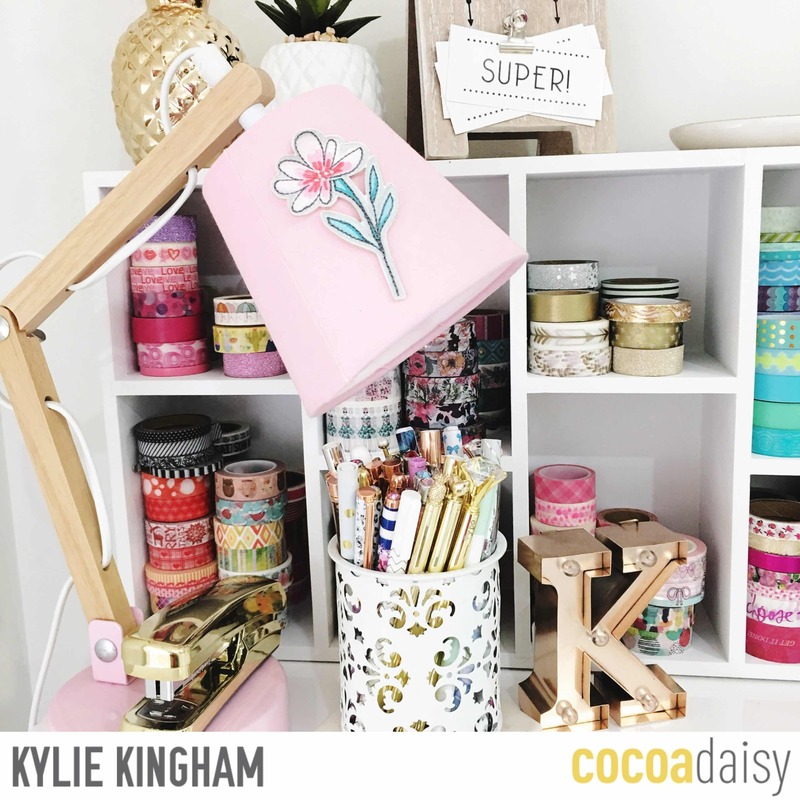 I especially love the flower on the lampshade that would be its permanent home in my house!